Hello first arrived in 2011 and jumped to version 2.0 earlier this year with a new look and premium business card scanning. The scanning feature was offered for free for a limited time, and Evernote has extended the promotion. 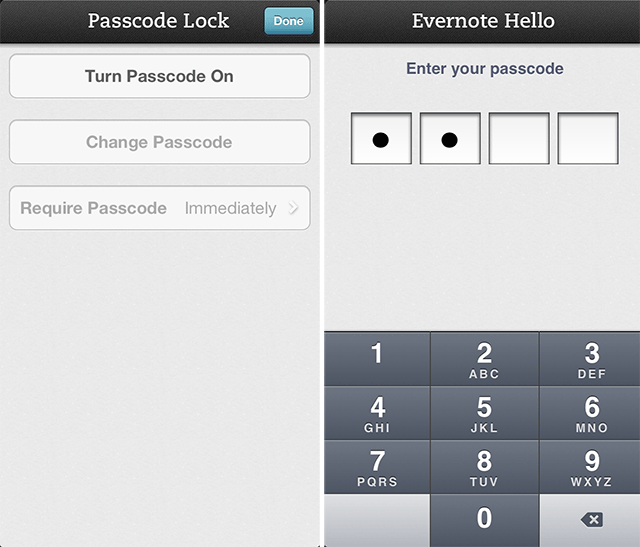 Premium users can also now set a passcode lock that will appear each time the app is opened. It’s a nice touch for professional users who may be worried about the privacy of the people in their contact list. Additional changes to the app include the ability to update the title and organization fields for contacts and general stability fixes.